I have slowly but surely been preparing for my move! Half of my belongings have been packed among several boxes that are piled high. I’m throwing away things that should have been gotten rid of years ago. I am contacting movers and prepping whatever else in necessary for my big move. It’s only a month away! 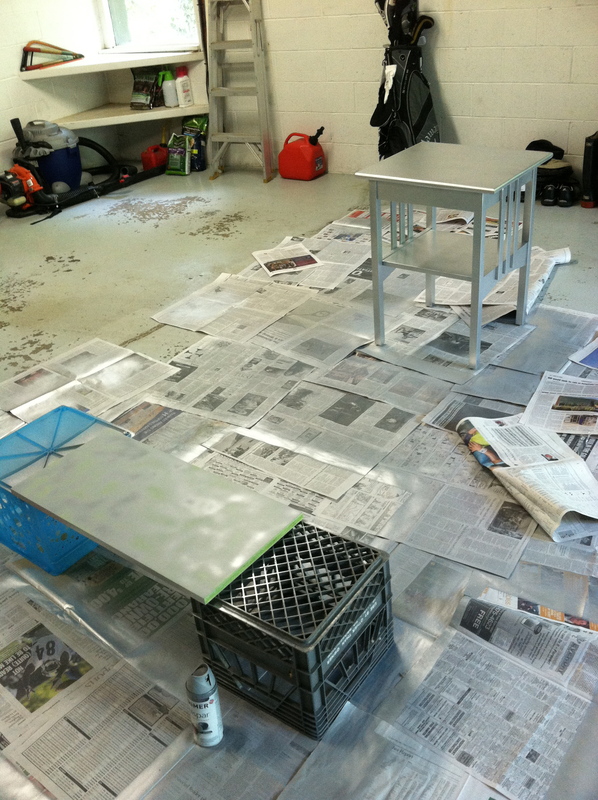 This weekend I began work on spray painting some furniture. 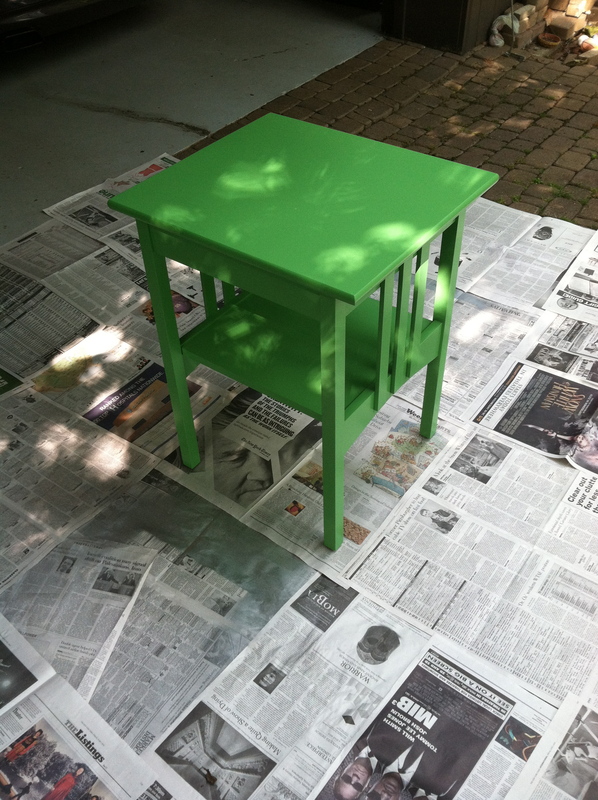 I am bringing many pieces that are currently living in my bedroom but I want to give them a little freshness for my new apartment. 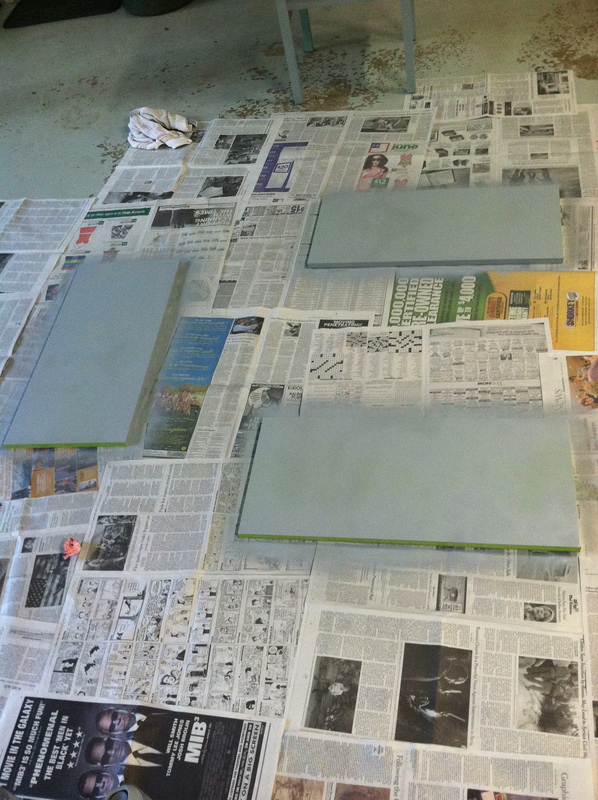 I decided to paint my bed side table (which is green) and part of my bookcase (again, green) silver. Oh yes. Silver. 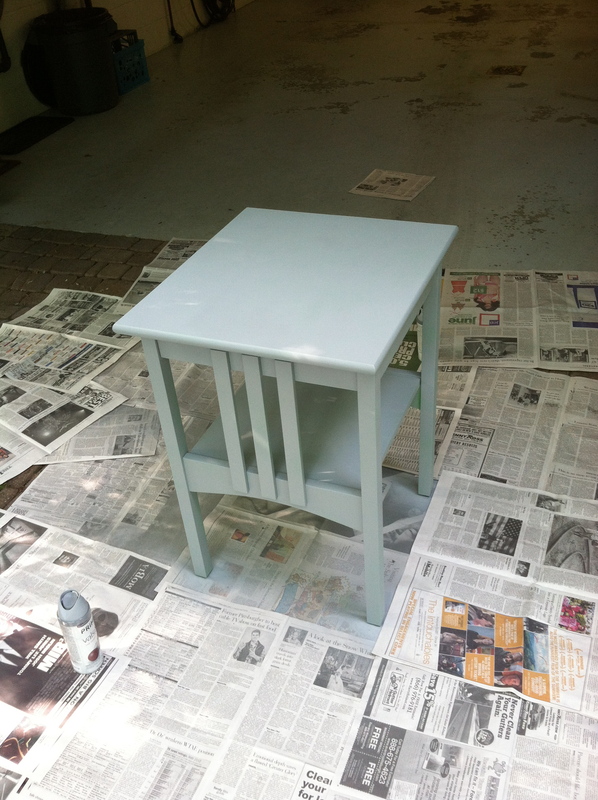 I wanted a color that would be somewhat neutral but wasn’t white or black. That way, the furniture can have a modern edge to it while still being able to incorporate well into a broader design scheme. I FOUND AN APARTMENT!!! I’ve already signed my lease too! It’s so perfect. I have yet to find any major flaws actually. My biggest criteria included: living in an area that I can walk to stores and shops, hardwood floors, one bedroom, lots of light, a nice size kitchen, and a few features that are unique to the apartment. I succeeded in finding all of those! I was first drawn to my new home by it’s location. I really miss being able to walk places (after living in walkable cities like Seattle, New York, and Dresden) and from my new apartment I will be able to walk to restaurants, bars, shops, Whole Foods, Trader Joe’s and a local farmer’s market! I could already see pictures of the interior on the rental companies website so the trip I took to look inside the apartment in person was really just to make sure they weren’t false advertising. Well, they weren’t. The interior looked just as lovely as I was expecting and I left the leasing office about 20 minutes later with my new lease in hand! The apartment is mine beginning in July. Perfect timing. I go back to work for the next ballet season in the middle of July so it will be nice to have the chance to get settled before I start back in the studio. Today I did a little organizing of what I have that has been sitting in boxes since I moved home from Seattle. Most of what I went through so far came from the kitchen but I have a box full of CDs and DVDs and cookbooks as well. I also printed up a floor plan of my apartment from the website so I can begin thinking of ways to arrange my furniture. (So handy). It’s going to be a bit rough to make everything fit, particularly in my bedroom, but I’m up for the challenge!